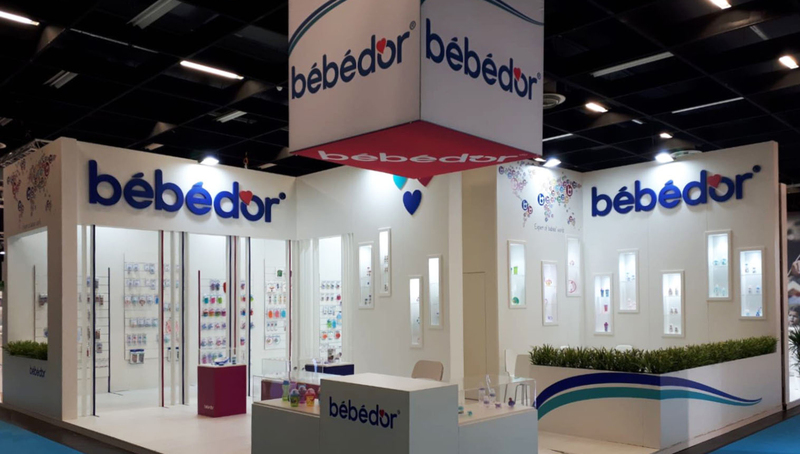 This project attended “Kind + Jugend 2018”, the international leading trade fair for premium baby and toddler products is the perfect platform for global commerce and the order business. In no other place in the world can one see so much of what will already be in children's rooms tomorrow. The project provides various types of display areas. To increase the display space and create more area we use niches in the wall and plexi top on the welcome desk. Pillars are used for seperation between sections to create an isolated area for meeting space.